When you're breastfeeding, it’s important to be mindful of what you put into your body. And here’s why: substances that you ingest can get passed straight to your baby through breast milk. This article discusses the impact of cigarettes, marijuana, Xanax, and alcohol on your baby if you're breastfeeding. You have just welcomed your new little one into your life. You’re overcome with joy and pride, but also with an overwhelming amount of questions and worry. Every parent wants their child to be as healthy as possible. As a mommy, it’s your job to ensure that they are. But what if you want to smoke a cigarette, smoke weed, take xanax, or have a drink while breastfeeding. Will these hurt your little one? Basically, this includes pumping as much of your breastmilk and throwing it away in hopes that any toxic substances also get flushed out. It’s important to understand the dynamics of the substance before using this approach. For example, you might have questions like how long does nicotine stay in breastmilk? Or how long does weed stay in breastmilk? In this article, we'll discuss what you need to know. If you can't stop using these substances, another option is to use formula at strategic times to limit your child's exposure. Check out this amazing guide on how to use formula while also breastfeeding. Another consideration is to pump and store enough clean breastmilk to use when your breastmilk will have dangerous toxins in it. 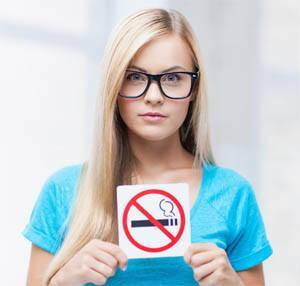 Smoking cigarettes is one of the most harmful things you can do to your health. However, some people love to smoke. A common question is does smoking affect breast milk. The short answer is yes. Smoking while breastfeeding can be dangerous for your little one. One of the biggest concerns is that nicotine reduces the production of prolactin. And here's why: prolactin is the hormone which tells your body that it needs to produce more breastmilk. Nicotine also reduces the “let-down reflex”. The “let-down reflex” is what makes the milk in your body available to your baby. When this reflex is decreased it causes your breasts to eject milk more rapidly. The result of this is that it causes your baby to nurse faster. The reason is because your baby feels like they're not getting enough milk. Consequently, this can lead to a decrease of breastmilk supply due to your body’s own reaction. It creates a vicious cycle. How long does nicotine stay in breastmilk? This will vary from woman to woman. However, a good rule of thumb is that for 1 cigarette, it takes about 1.5 hours for half of the nicotine to leave breast milk. Side effects for your baby could be nausea, restlessness, extreme crying, and general fussiness. This is especially true in babies who are underweight. Some babies are also more sensitive to stimulants. In addition, studies have shown that smoking while breastfeeding can cause your baby to sleep less than they normally would due to the nicotine they consume through breastmilk. In essence, smoking can affect their sleep patterns and will also alter the taste of your breastmilk. Bottom line, you shouldn't smoke while breastfeeding. If smoking cigarettes while breastfeeding is an absolute must for you, some studies have a shown that smoking under 15 cigarettes a day may not cause very serious harm to your baby. However, it’s recommended that you do your own research. Smoking more than 15 cigarettes a day can definitely affect your baby negatively due to nicotine in breast milk. So, is it bad to smoke while breastfeeding? Yes, it can be. 1. It's highly advised to quit smoking while breastfeeding. 3. Also, waiting an hour and a half after smoking before breastfeeding will reduce the amount of nicotine in breast milk (around 50%) that actually gets to your baby. 5. Another main concern of smoking a cigarette while breastfeeding is second-hand smoke. Make sure that you’re not smoking around your little one. Also, change your clothes, and wash your hands, after smoking to prevent third-hand smoke exposure. Another main concern of nursing mothers is the risks of Marijuana and breastfeeding. At this time, there is limited studies and data to support whether smoking marijuana while breastfeeding is bad for your little one. However, there are some studies indicating that Marijuana in breastmilk is bad for your baby. 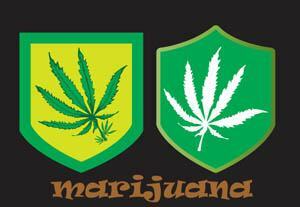 THC (tetrahydrocannabinol, the active ingredient in cannabis) circulates and sticks to fat cells. Breast milk has LOTS of fat cells, because this is what makes your baby grow big and strong! Because there are so many fat cells, almost 1% of the THC becomes concentrated in the breast milk. According to animal studies, THC can actually slow down your milk production. Consequently, this will make it harder to meet your baby's needs. THC binds proteins in the brain, the same proteins that play the key roles in brain development. Because of this, THC could potentially affect your baby's brain development. The additional cannabinoids in breast milk from Marijuana could also lead to your little one to become easily fatigued and have poor sucking skills. While there have been no reports of health problems in babies that are breastfed by mothers who smoke, or consume, cannabis, this is due to the lack and absence of controlled studies. Just because no reports exist doesn’t mean it’s safe. How long does marijuana stay in breastmilk? If you have smoked and are concerned about how long does thc stay in breastmilk, know that THC leaves your breastmilk in a little under two days. If you're worried about smoking weed once while breastfeeding, remember that it takes a couple days for it to clear your breasts. So pumping and dumping might ease your mind a little bit. Is it ok to take xanax while breastfeeding? A definite No. Taking Xanax while breastfeeding is very dangerous to your baby. Xanax is classified as a benzodiazepine, and is used to treat anxiety and panic disorders. Any kind of benzodiazepine can be passed through your breast milk, so your child could ingest small amounts of this medication. If your child consumes Xanax it can cause drowsiness, severe respiratory problems, feeding issues and weight loss. Xanax can also cause your child to experience withdrawals if you stop taking it after they have become accustomed to having it in their body. It is not recommended for women who are pregnant, or breastfeeding, to continue taking Xanax. If you feel that you must take one and can not find another source of relief for your anxiety, Xanax stays in your breast milk for approximately eleven hours. Pumping and dumping might also be beneficial if xanax breastfeeding. You just spent nine months being pregnant and you’d like to have a glass of wine, or maybe even a few drinks to celebrate, or to relax a little bit. But you're concerned about drinking alcohol while breastfeeding. 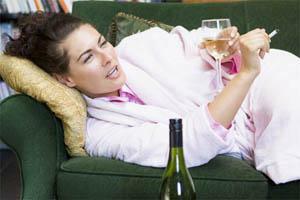 According to studies, occasional drinking while breastfeeding does not seem to be harmful for the baby. However, alcohol decreases your milk production, which in turn reduces the amount of milk available for your little one. Although it does go into your breast milk, less than 2% of alcohol that is consumed actually gets to your child. As long as you wait two hours after drinking small quantities, the alcohol in breastmilk won’t really affect your little one in a significant way. 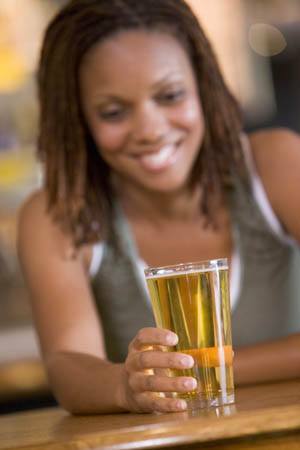 Keep in mind the amount of alcohol you consume is important, as well. The two hour rule applies to the assumption that you have only had a max of 2 drinks. For example, 2 drinks would equal two ounces of liquor, eight ounces of wine, or two beers. If you consume more, you should wait longer. Drinking when your little one is sleeping at night, when you know they shouldn’t be waking, is the best time to drink. By the time they wake up, the alcohol will be out of your breast milk because it doesn’t accumulate and stay in your milk. If you decide to ingest any substances while breastfeeding, it's important to understand the risks to your baby. The general rule of thumb on this subject is as follows: don’t put any substances in your body that you wouldn’t want in your child’s body. In essence, you should refrain from all of these substances while breastfeeding if at all possible. However, if you cannot stop using a substance(s), you should consider using formula or even pumping and storing a lot of healthy breastmilk to use at strategic times. Keep in mind, there’s a lot of guilt and stress that comes with wondering if you’re hurting your child by what you’re doing. It’s best to just not do it if it’s going to be a problem for you. This is especially true if you’re going to end up dumping your breast milk. Your milk is precious and none should be wasted if it can be prevented. Always be sure to do your own research and understand the risks. It's highly recommend that you consult your physician before ingesting any of these substances while breastfeeding.